This is for you, NWAV44! The biggest annual conference in variationist sociolinguistics, NWAV, is taking place right now in Toronto. There was a time in my life when I would’ve never missed an NWAV, but this is the second year in a row that I’ve had to skip out. * It’s not worth explaining why, but suffice it to say that I’ve been looking for any upsides to staying at home while everyone’s off conferencing it up in Canada. The biggest upside, of course, is that I get to hang out with my little family, which features one particularly awesome little girl who I’ve blogged about before (like, a lot). In fact, I’ve blogged about her so much that people are starting to get the impression that I actually work on language acquisition (I don’t)! What I do work on is sociophonetics. This is a post that combines both topics. This time last year, my daughter was occasionally watching Dora, The Explorer. Unlike a lot of other American animated shows we get in the UK, this one was never dubbed, but was shown with the original American voices. 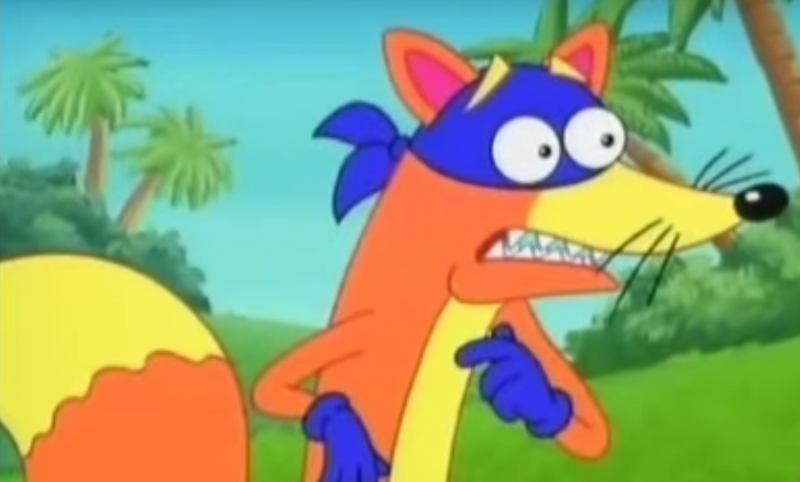 For those of you who haven’t endured this show personally, one of the characters on the show is a fox named Swiper. I guess he’s the only ‘bad guy’ on the show, although he’s more mischievous and naughty than ‘bad’. 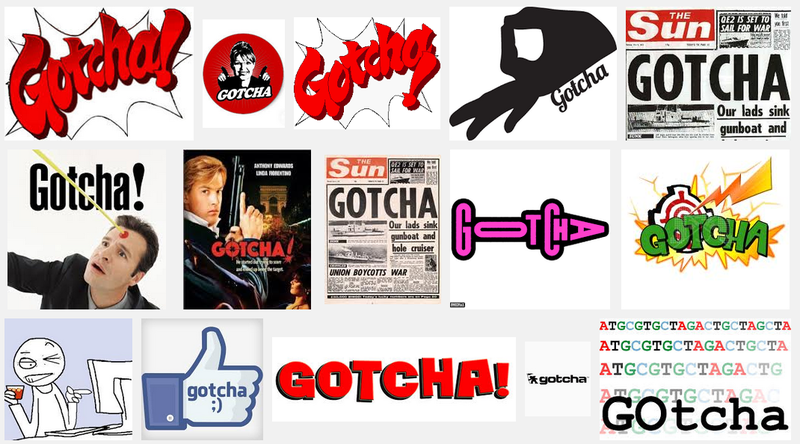 His catchphrase is “Oh, man!” which he says if Dora and Boots succeed in stopping him from pulling off a heist. You can see an example of it here. 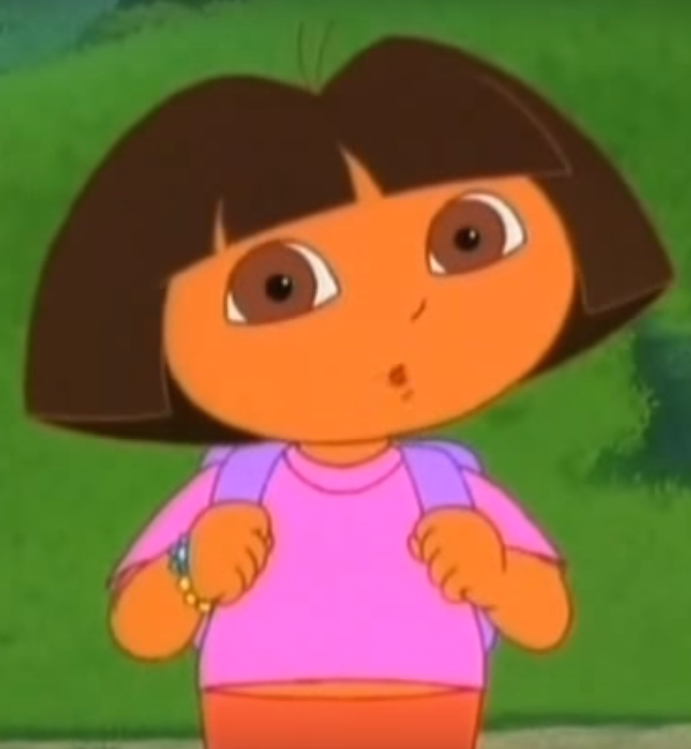 And then many months passed during which time we did not watch Dora. Our kid went from about 2 years, 5 months old to 3 years, 2 months old. Apparently the raised, tense quality of that vowel in ‘man’ was so extreme that her (British) toddler brain had processed the vowel nucleus as /i/ (as in me, bee, fleece, etc. ), either as the onset of an /i/-/æ/ diphthong or as a distinct word from ‘an’. That’s kind of cool. But even more so is the fact that she used to joke around saying “Oh, man!” just as much as my husband and I would, and I never perceived her as producing anything phonetically different from what we were doing. In other words, back then, she never produced it as ‘me an’. So her production imitation was spot-on, but when recalling this form from memory she didn’t recall the phonetics (an unusual pronunciation of the correct vowel) but rather the phonology (the structural elements of the system that are phonetically closest to the phonetics). All this from a few seconds at dinner. But which I might have missed, had I been at NWAV. Just for fun, I will leave you with this amusing Dora spoof from SNL. Thanks to my childhood bestie and mother of three, Aubrey Brown, for telling me about it. 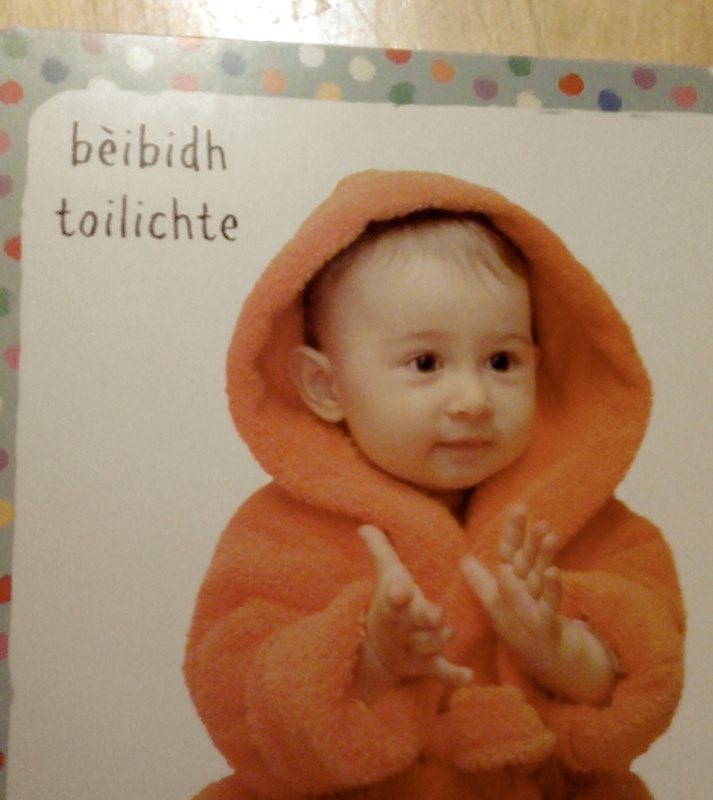 Nothing highlights Quine’s gavagai problem like trying to learn a new language through books written for babies. 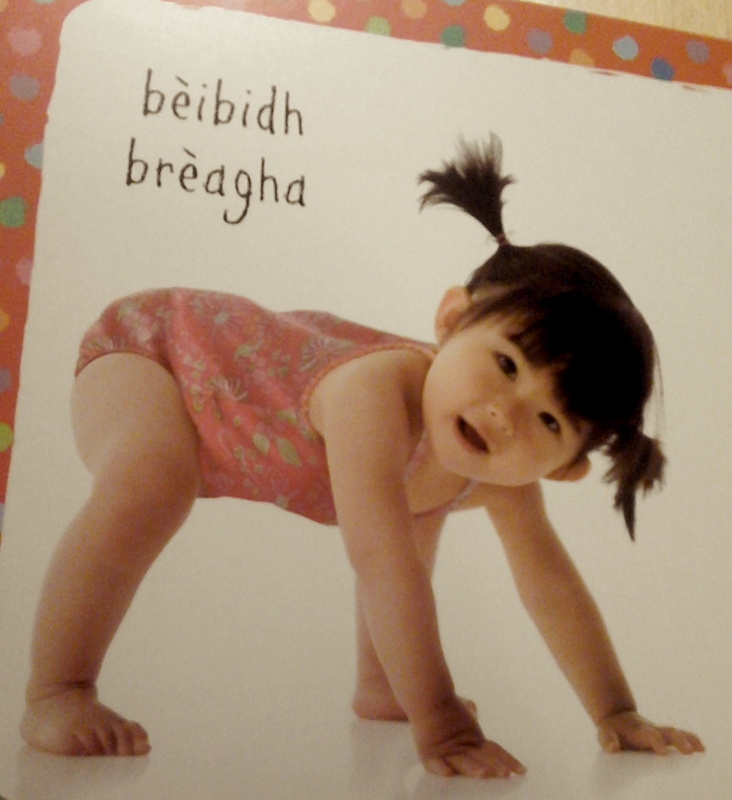 My daughter has been attending Scottish Gaelic immersion preschool for just over a month now. I don’t know any Gaelic myself, and when she came home with some children’s books in Gaelic (courtesy of the awesome incredible fantastic amazing Bookbug programme), she wanted me to read the books to her. Presumably, learning a language via children’s books is not a bad idea; isn’t language learning one of the reasons we read to them? But since everyone in our house is a beginner, I looked into possibly getting the Bookbug’s ‘baby’ books and ‘toddler’ books, so I could personally work up to the ‘preschool’ books she brought home. And thanks to the amazing generosity of the Scottish Book Trust, today I got to try to teach myself Gaelic using a very simple baby book. To be clear, I adore the Bookbug programme and am in no way whatsoever complaining about the quality or choice of books. This is how good books for babies are written! I just never really noticed before, or perhaps I should say I never personally felt so acutely before, the gavagai problem. See what I mean? To be fair, if I had to find photos of babies to exemplify those words, I’d have a hard time! Because gavagai, of course. This is a brief addendum to my previous post from two weeks ago about my daughter’s emergent and idiosyncratic typology of language types. Today she mentioned a new one: English. And what it seems to mean is ‘speaking correctly’. Of course this one anecdote doesn’t mean that she thinks ‘English’ means ‘speaking correctly’. When I stumble over what I’m trying to say or say the wrong word for an object, she doesn’t tell me to speak English. So it’s probably more likely to be her new word for what I called ‘unmarked’ my previous post, meaning something like ‘speaking normally’. It’s probably the context of reading out loud that especially made it seem to me like it had a twinge of ‘speak it the proper way’. Or maybe it’s just me making a big deal out of nothing because I’m a sociolinguist and I’m sensitive to contexts in which ‘English’ becomes equated with moral judgments of that which is ‘good’. Or (and I doubt this is true, but I like it) maybe what she means by ‘English’ is ‘calm and predictable’! My daughter is now 2 and 3/4 years old. This post is about what currently seem to be her three conceptual categories of language: unmarked, Spanish, and America. ‘Unmarked’ is just my way of referring to aspects of language she doesn’t talk about; things that are just normal and unnoticed by her. 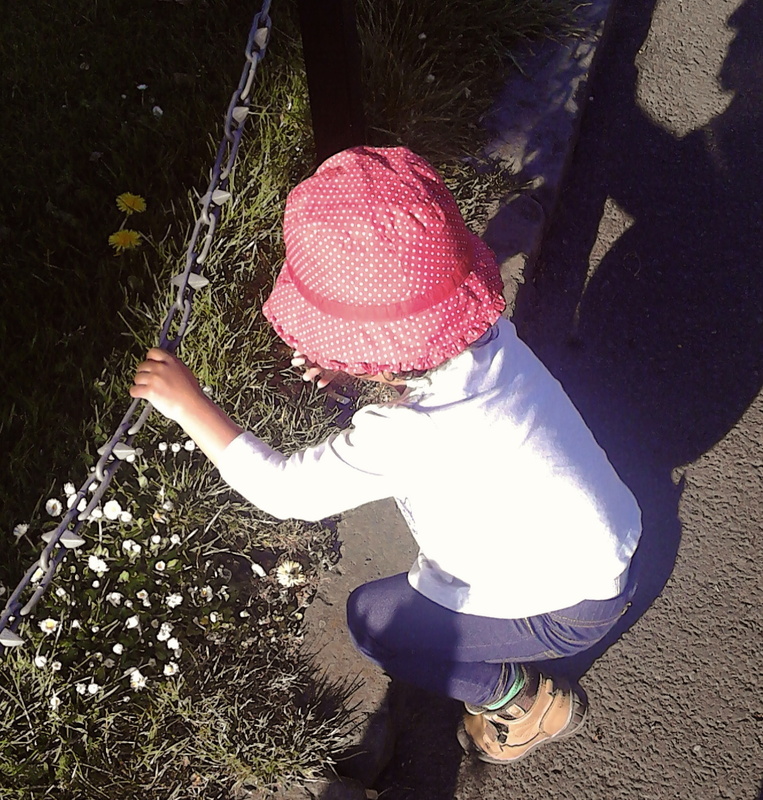 I could blog about the interesting things that seem to be unmarked, to her, but that’s for another day. ‘Spanish’ is her word for any unintelligible language, anything she can’t understand. She’s been using the term for months now, and I’ve recently started explicitly pointing out when we overhear Spanish versus other languages, to (teach her and) see when she figures out that Spanish is something specific. 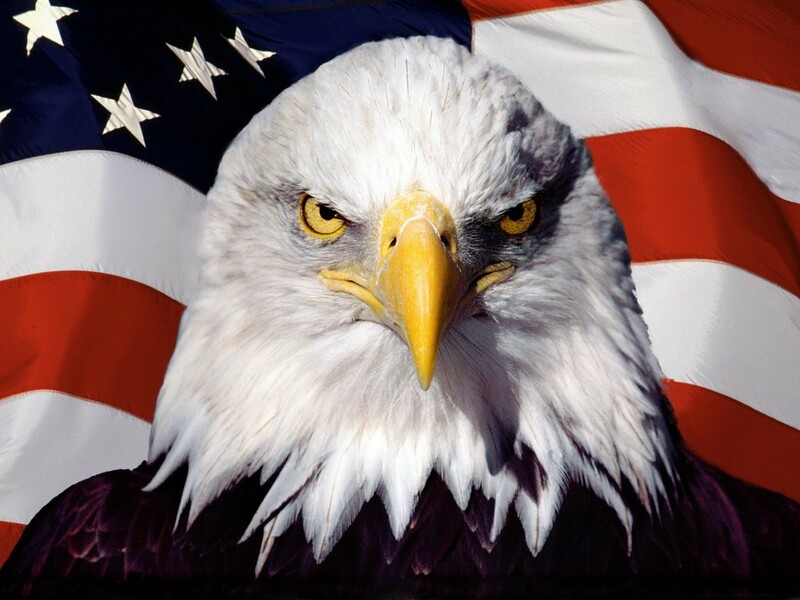 And, last but not least, there’s ‘America’. She has heard me describe certain words and pronunciations as American. Like the time when we were in the supermarket car park (parking lot) and I was really angry and I said, “You need to get in the cart, now!” and she looked at me, confused, and said, “Why did you say ‘cart’?” and then I had to explain that when Mommy gets angry, Mommy uses American words. Tonight when I was putting her to bed we were talking about one of her nursery friends, Leon. Before nursery this morning she had said, “What?” with a particular intonation and pronunciation that led me to say, “You sound just like Leon when you say that.” (A few months ago there was a conversation between the two kids that had entirely consisted of my daughter jabbering incomprehensibly, to be funny, and Leon saying, repeatedly, “What?”) Anyway, this evening, she said to me, “Leon didn’t say ‘what?’ [today].” I then explained that someone only says that if they can’t understand you. She then said something that I can’t quite remember about Spanish. “Right,” I said, “Like if you were you speaking Spanish.” Then she said, “I not say America.” “Well, you do sound a bit American,” I said. “Mm-hm,” she agreed. Just under a year ago I blogged about the linguistic consequences of my daughter’s transition from a Scottish family to our family. Now, I am here to tell you that the inevitable has happened. And it kinda breaks my heart! The first obvious sign was a few weeks ago. My kid was talking to herself and I heard her say, “I’m an American girl.” Since I’ve gone to more pains than most parents (because of our circumstances) to say, “You are Scottish,” I assume that she was described as American by one of her nursery teachers, and I assume that they said that not so much because of her parentage, but because of her accent. She pretty much has an American accent now, or at least the kind of funny slight-hybrid accent that other children-under-5 of American parents in Edinburgh have (yes, I know a lot of these kids). What I mean is, for example, she says tomato in a British way and she hypercorrects flapped intervocalic /d/ to a released /t/ for words like ladder and pedal. But otherwise, she really sounds like she’s growing up somewhere in the US (if you ignore her lexicon). Alright, fine. This is not surprising. The people I’ve mentioned this to all say, “Oh, just wait until she starts primary school.” Fair enough. “What? !” my inner voice said (just like Leon). I mean, most of her nursery teachers are Scottish, we keep in touch with her Scottish foster family, and we do have Scottish friends!!! (Okay not many, but we try!!!) Not to mention the exposure she gets just being about town and hearing people. But despite all that, my wee Scot thinks Scots is unintelligible! The testing room was overheated. I walked out of the testing centre with sweaty palms, my winter coat slung over my arm. Soon enough I realised that it was actually cold outside, and starting to rain. I moved my backpack to my hand and put my coat on while walking. A woman walking past looked at me doing so and smiled in a knowing, ‘shame it’s still coat weather’ kind of way. People here talk about the weather so much, it’s part of the non-verbal communication, too. I continued on in a post-anxiety daze for about five minutes before I came upon the Grassmarket. Stepping across the road, the Edinburgh castle rose dramatically in the view to my left, ancient and ostentatious. In that moment, in that space of eclectic locals, tourists, and wayward students, I suddenly felt very un-British. The last six years felt like a brief moment in time, and it seemed absurd that I was carrying a piece of paper that officially claimed that I knew enough about Britain to be British. The test was harder than I’d thought it’d be. I’ve been studying so much, taking every practice test available online, in some cases twice, typing up my own personal timeline of UK history, memorising the table of different court types that my husband wrote up before his test. I’ve taken practice tests just before bed, I’ve taken practice tests right after waking up. I was sure that I was overstudying. But when it came to the test, there was still one question I had definitely never seen before, and a couple others that gave me serious pause. 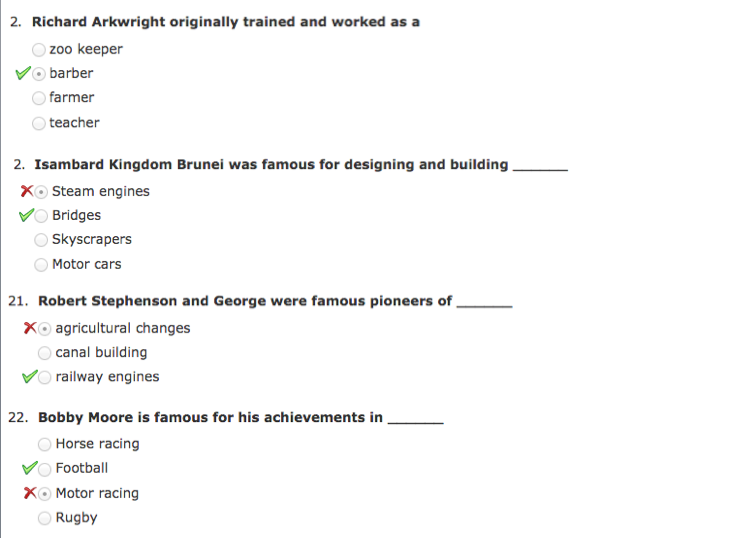 The question I did not know the answer to was something like: ‘What was invented in the 1930s by Frank Whittle?’ There were four possible answers, one of which was so implausible that I don’t remember it now. The other two wrong ones were ‘ballpoint pen’ (interestingly, they didn’t say biro) and ‘personal computer’. I guessed correctly: ‘jet engine’. 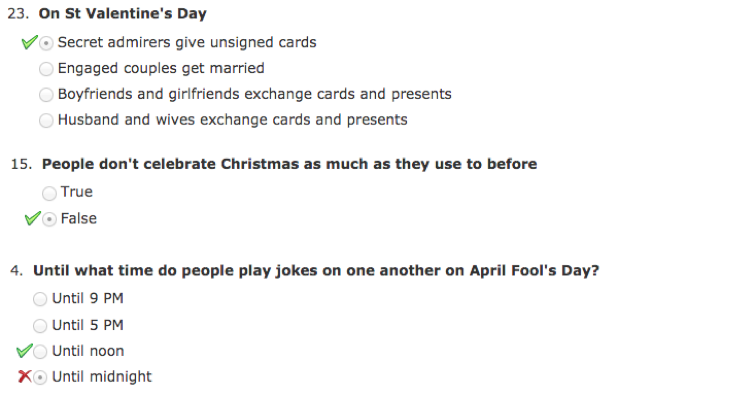 By far the easiest question on the test was something like: ‘When is Easter?’ (the answer being ‘March-April’). Of the remaining 22 questions I would estimate that there were at least seven that I would have had no idea of the correct answer without having studied. (In other words, I would’ve failed the test if I hadn’t studied at all and hadn’t guessed correctly.) Interestingly, or perhaps frustratingly, there were no questions about courts, the royal family, sport, music, religion, or television — all topics which feature heavily in the study guides. So, that’s yet another hurdle down towards the goal of being able to live in my place of residence indefinitely. It’s the closest I can get to getting a degree in UK living. This follows three separate Tier 2 visa applications (and fees) and precedes the most complicated application and by far the most expensive set of fees, yet. Meanwhile, we’ve adopted a wee British citizen, bought a home, and gotten our driving licences. My default spelling convention when I type is now British, and my default lexis in the areas of either academia or childrearing is most definitely British as well. And yet there’s something about this test for Indefinite Leave to Remain that makes me feel so incredibly American. Maybe it’s because I’m constantly aware of my English language privilege compared to the other kinds of people taking the same test, or the closely related privilege that comes with my American cultural knowledge. Or maybe because I’ve just wasted quite a bit of my personal time to pass some ridiculously challenging hurdle in order to prove to the British state that I’m good enough for them. Then again, there’s a quality of that experience that makes me feel rather British, too. As I type this, I am sitting in my favourite Turkish cafe, across the street from my office building. It’s late afternoon but I’m treating myself to a glass of wine (something I’d never do in the US) and eating some Scottish salmon… on a bagel. One of my favourite songs of all time just came on: Golden Brown by The Stranglers. Lest this be some kind of British ‘sign’, let me tell you that it was then followed by a song that brings me right back to the sights and smells of my early childhood: Jump by the Pointer Sisters. And that’s me in a nutshell, folks. I’m a linguist, but I work with sounds, not words. And I mostly work on describing patterns of pronunciation that already exist, rather than making too many predictions about the future. When I do make predictions, they’re on the order of, “Look how this pronunciation is being used more and more by younger and younger people; it’ll probably continue that way until eventually everyone’s doing it all the time.” That kind of prediction is a pretty safe kind of bet. But this post is about another kind of prediction: a lexical one. And it’s not based on any usage data, but rather on social critique. It’s about the term ‘Gotcha Day’. My prediction is that no one will be using this term in a generation’s time. Here’s why. The day that an adopted child comes home to their forever family is a day worth commemorating every year. It’s full of mixed emotions, since while the homecoming of a child is itself joyous, in adoption contexts it also necessitates a deep loss for the child. (People often talk about the loss of the birth family, but in many cases, especially in the UK, there is also the loss of the foster family who is the only family the child’s ever know and loved.) The day a child comes home can be frightening, confusing, and overwhelming, at best. But it’s also the beginning of something very beautiful. Parents choose to call this day by a number of names. The ones I’ve seen include Family Day, Homecoming Day, and Adoption Day. And, of course, Gotcha Day. The term is meant to evoke the expression of love that happens when a parent and child play the ‘gotcha’ game (the kid runs playfully, the parent chases playfully and catches the kid and everyone giggles). As far as I know, this term is really only used in the United States, but it’s worth talking because it’s impossible to avoid in English-language discussions about adoption on social media. However, the original justification for the term Gotcha Day was that for many families the day of legal adoption is very different from the day the child comes home. This was true in my family’s case; the two were nearly nine months apart. Nevertheless, although Gotcha Day is handy in terms of being (1) adoption-specific and (2) not the same thing as Adoption Day, I will never use it in my family. Indeed, it’s difficult for me not to take offence when I even hear the term. But my favorite piece of writing on this topic was a comment recently left on a Facebook post. I asked the author, T. Gidseg, if I could post her words here, because I feel that they ought to be shared more publicly. She graciously agreed. I agree. And I think it holds regardless of if the adoption is transracial or not. This line of reasoning, plus the other opinions expressed in the blog posts linked to above, combine to make it very clear to me that the term Gotcha Day has Got to go. It’s worth not having a convenient term, if it means respecting our children. Last week, in my family, we celebrated the one-year anniversary of the day my daughter came home. But it was low-key, quiet, and a generally private affair. When my daughter gets older, she can decide how she wants to spend this day. Because it’s her day. This whole post could have been about King Henry VIII, but it’s not. Since this test is required for both residency and citizenship applications, and because not everyone drives, there’s more general experience with and commentary on the Life in the UK test than there is on the UK written driving test. Nonetheless, I’ve been having a lot of conversations recently with British citizens who had no idea what was on the test and were shocked to learn. So, I figured I’d blog about it. 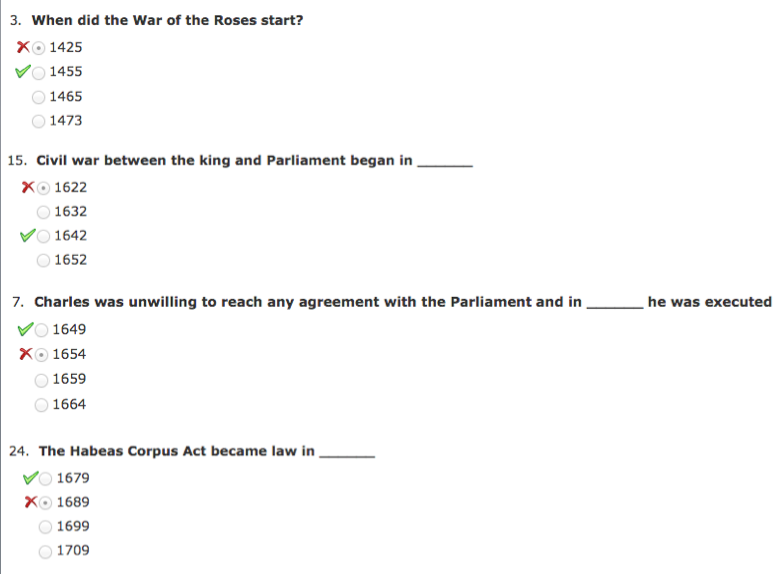 Below I’ve pasted some of the example test questions that have caught my attention so far. 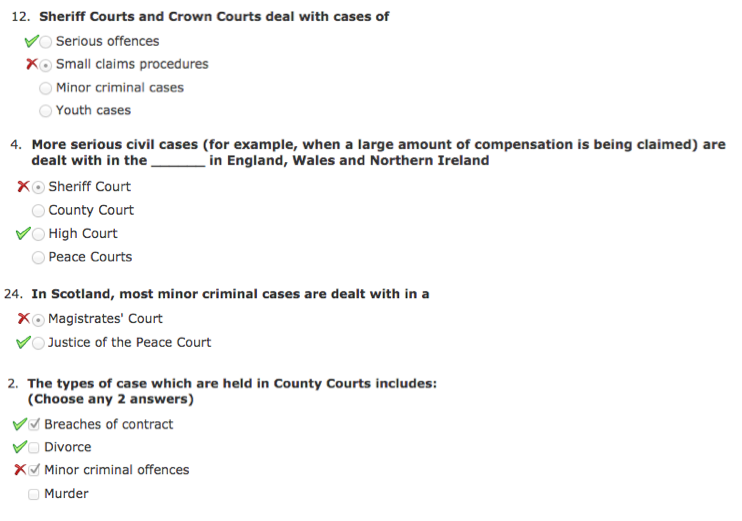 Note that the numbers of the questions are not in any particular order because each question is a screenshot taken from one of 48 possible practice tests. Finally, let me end with some things I would say are genuinely useful to know. Really! Like, the kind of things you ought to know way before taking this test. For example, the age you have to be to gamble, buy alcohol, or buy cigarettes. Other examples? Yes. 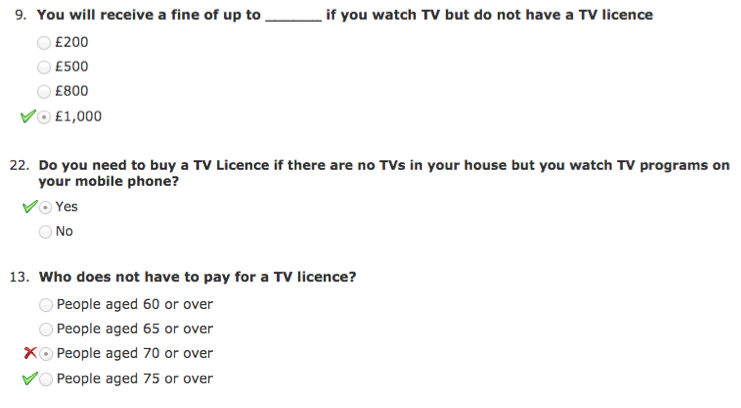 I hereby believe that the TV licence is important. Long live the BBC!